Two dresses for ladies who love to dance. 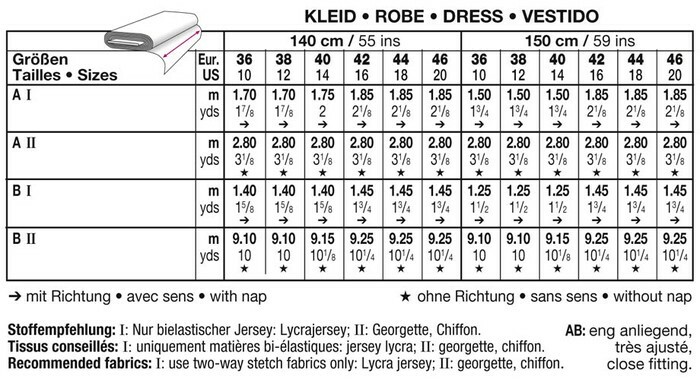 On both, the multi-layered chiffon skirt is sewn directly onto the leotard for maximum freedom of movement. 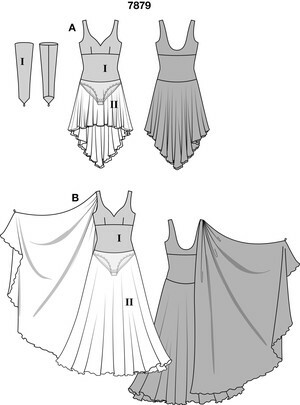 The long dress, view B, has a decorative scarf stitched into the right shoulder seam – to be held while dancing.